Detecting disease at the biological level. Perhaps you have a family history of heart disease, cancer or another illness. You’d like to know your risk for these diseases and how to take steps to minimize it. That’s where genetic testing can help. Genetic testing at Vanguard Medical Group includes predictive screening tests for a multitude of common disorders such as diabetes, cardiovascular disease and cancer in addition to rare genetics conditions. Patterns of illness that run in families are our chief focus in the rapidly changing world of Precision Medicine. In addition, we do focused genetic testing for individuals with existing disease states, such as hereditary breast and ovarian cancer, and a variety of childhood and adult hereditary disorders. More recently, pharmacogenetics testing can assist your personal physician or specialist to choose the precise medication at the right dose for maximal effect for you or your loved one. It’s unusual to find this highly specialized service in a physician’s office. However, our office staff includes the founding director of the Personalized Genomics Program at Atlantic Health. Dr. Arnold Pallay has advanced training in genetics and genomics, and is a frequent lecturer locally and nationally to physicians and the public alike. Our practice participates in genetic research, including serving recently in a 13-site national genetics consortium currently studying children with genetic disorders sponsored by the American Academy of Pediatrics. We are also participating in research protocols to determine if precise genetics testing can alter the care received by patients by choosing to use or avoid certain medications. Genetic testing coupled with a detailed three generational family history can show whether you have a predisposition toward certain diseases. Tests can reveal if you are a carrier and might pass a disease along to your children, or help expectant parents know if their unborn child will have a genetic condition. Genetic testing also can give a diagnosis if you have symptoms of disease and even when you may not. 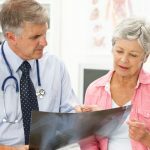 Furthermore, this kind of personalized evaluation often assists patients years later with their care and many times helps patients gain important insurance authorization for indicated screening tests before a diagnosis is even made. Obtaining insurance reimbursement for some of these tests can be difficult to get authorized, but we can usually get such prior authorizations for our patients. Be certain that the testing, when appropriate, is secure and insurance companies are not permitted by law to rate an individual due to protections afforded by the Genetic Nondiscrimination Act ( GINA). We take the time to counsel you, discuss your concerns, and provide you with options. If genetic tests uncover a problem, we will refer you to a qualified ancillary subspecialist when necessary.